The Deccan Odyssey will immerse your senses to soak in India’s vibrant hues, embarking on a majestic voyage unfolding a valiant past of the legendary Marathas. 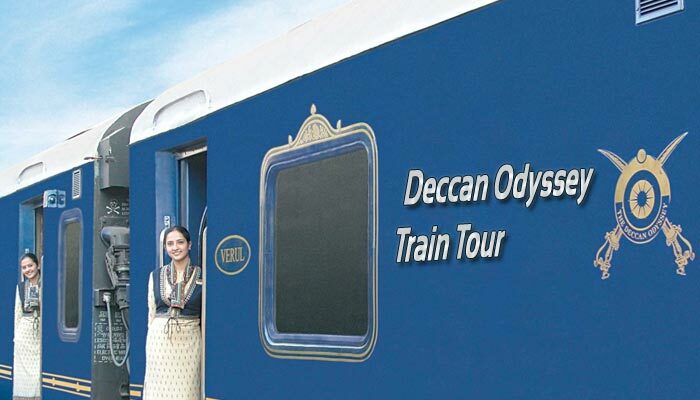 Traversing across magnificent landscapes, its sprawling forts, palaces, and beautifying experiences, the Deccan Odyssey offers you a peek into the Indian soul, redefining the art of elegant travel, en route exotic destinations via Ganpatipule, Ratnagiri, Sindhudurg, Goa, Pune, Ajanta and Ellora(Aurangabad). Spread out into 21 coaches that facilitate 4 coupes each and 2 Presidential Suite Cars, it has a lounge and a state of the art Spa Car too. Day 08: Mumbai (Departure) On the 8th day, Deccan Odyssey will drop you back at Chattrapati Shivaji Terminus, where your journey will come to an end. Any cancellation must be advised immediately by Email and subsequently confirmed by letter to the Central Reservation Division. If the cancellation is made 45 to 59 days prior to departure, 20% of the ticket value will be forfeited. If the cancellation is made 30 to 44 days prior to departure, 50% of the ticket value will be forfeited. If the cancellation is made 29 days prior to departure, 100% of the ticket value will be forfeited.